We need Sharks. Find out Why. They are Amazing! Join shark expert Apryl Boyle on an exciting 8 week adventure into the world of sharks! Apryl is an experienced shark scientist who founded her own organization El Porto Shark, worked for National Geographic and has even been featured on Discovery Channel’s Shark Week! Through this Next Generation Science Standards aligned course, Apryl will teach students on all things sharks. 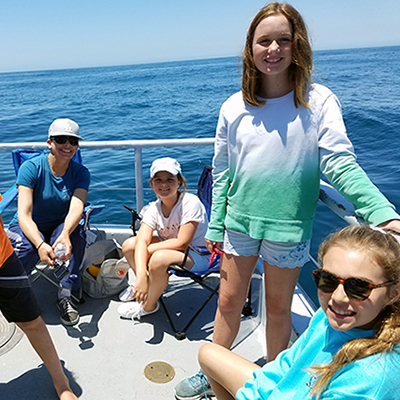 Students will explore a number of different branches of science through the study of sharks, including oceanography, biology, chemistry, physics, physiology and even math and navigation. This course will include a number of hands-on activities such as ocean current mapping and an electro-receptor lab.